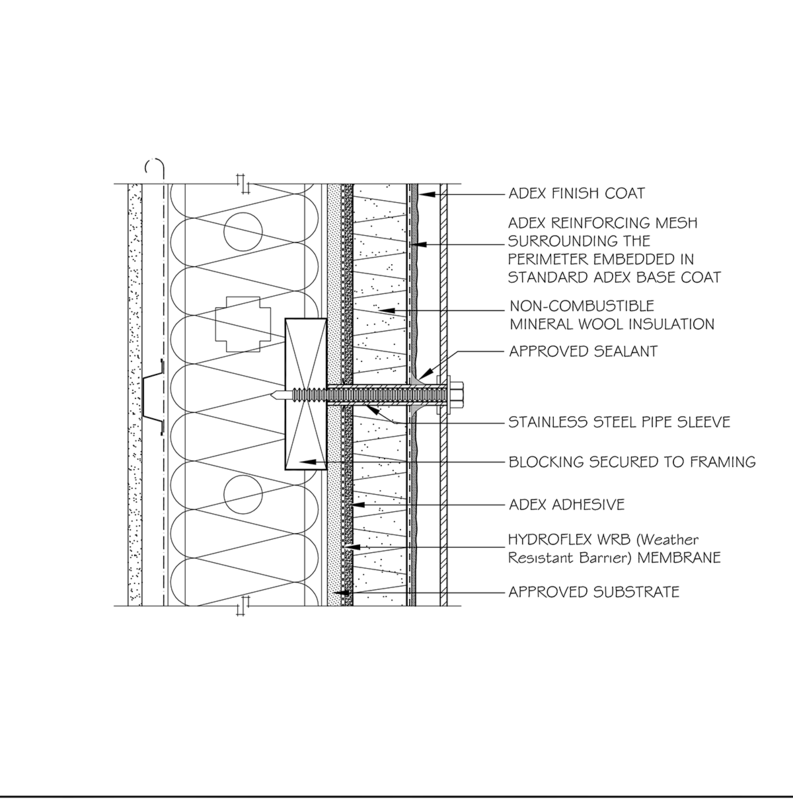 The ADEX-XNC system is a non-combustible variation of exterior insulation and finish systems (EIFS) that incorporates the use of a rigid rock-based mineral fiber insulation. 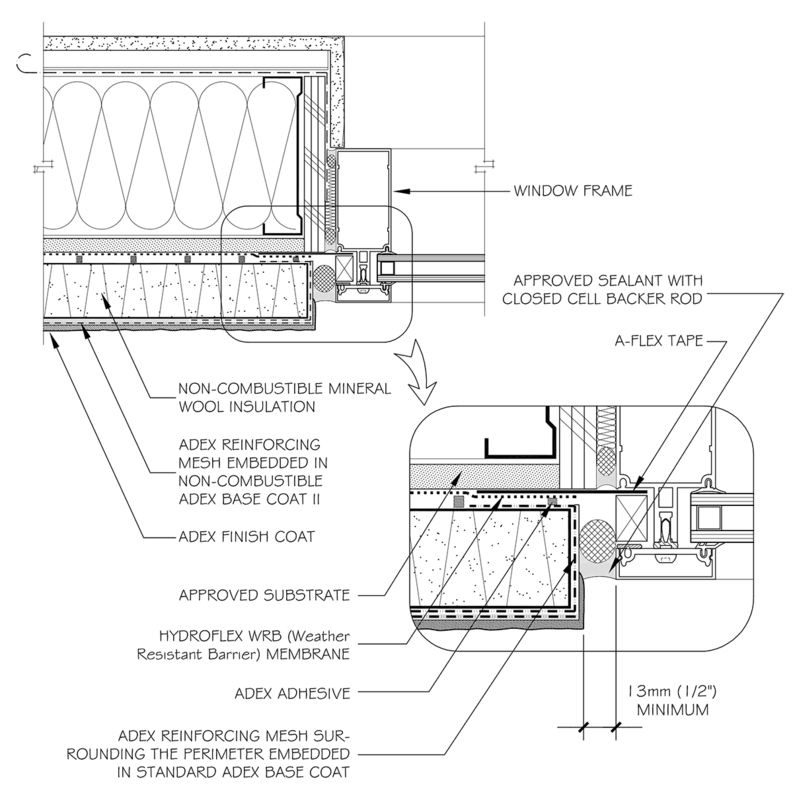 The ADEX-XNC system is specified where there are limiting distance issues or the where the exposed building face allows less than 10% unprotected openings. 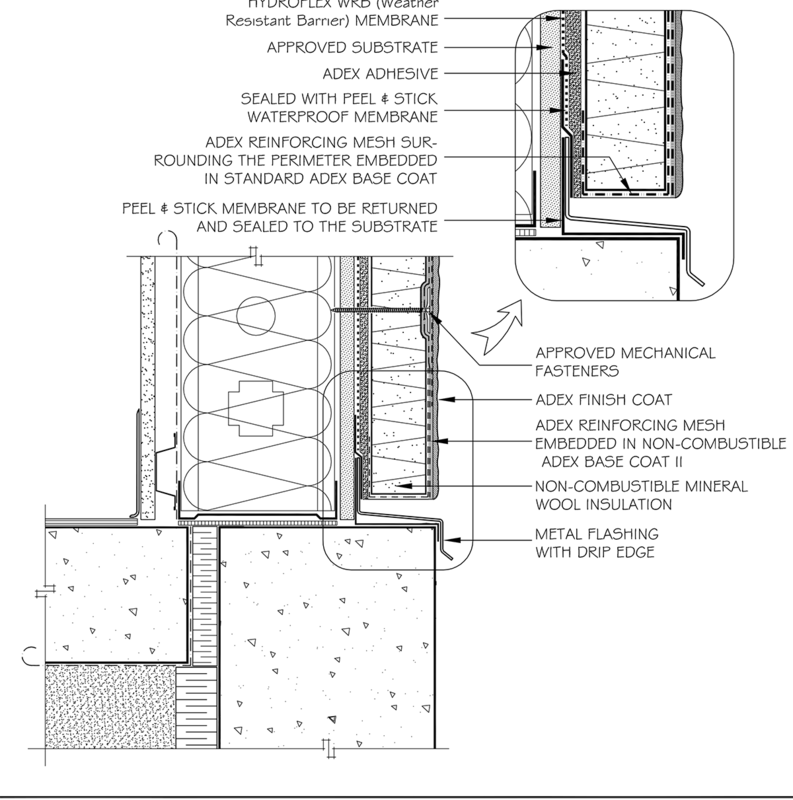 The ADEX-XNC system incorporates a secondary liquid applied weather resistive barrier (LA-WRB) and a vertical drainage plane to assist with moisture management. 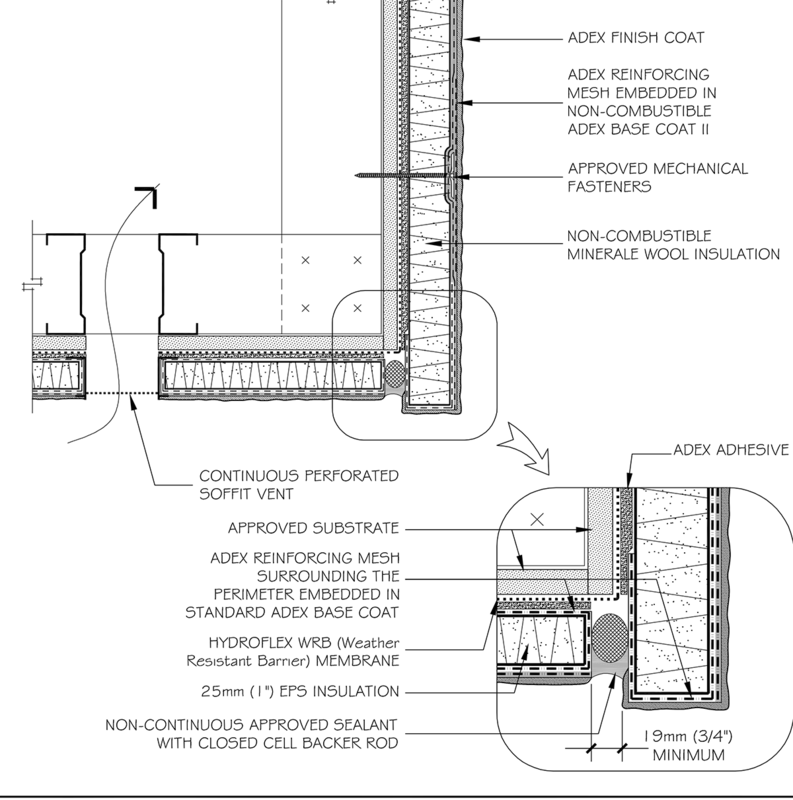 Mineral Fibre Insulation is non-combustible. Uniform blanket of continuous insulation (CI); reduces energy use. Basecoat and Insulation components meet CAN/ULC-S114: Method of Test for Determination of Non-Combustibility in Building Materials.